A quick update for the middle of October. 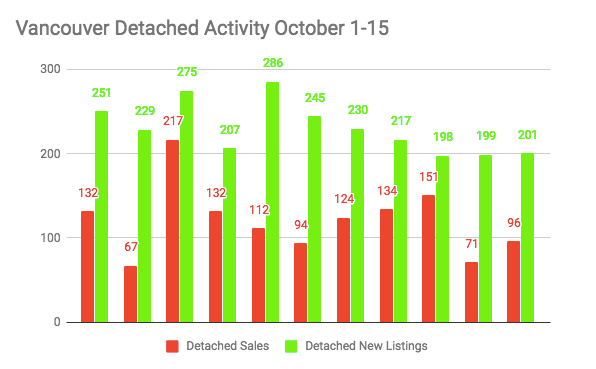 I’ve compiled sales and new listings for the period dating October 1-15. This provides a pretty good snapshot of where we stand, although it’s a relatively small data set and much can change by months end. The Vancouver detached market rebounded slightly on a year over year basis. Both sales and new listings increased. The 96 sales so far this month, are up from 71 for the same period a year ago. However, market conditions still tend to favour the buyer, select desired and well priced homes are still selling quickly. Condo sales increased 27% from the same period a year ago. Keep in mind this is compared to October 2016 which was heavily impacted from the shock of a foreign buyers tax. Despite this, condo sales remain well above the ten year average and upwards pressure on prices continues. 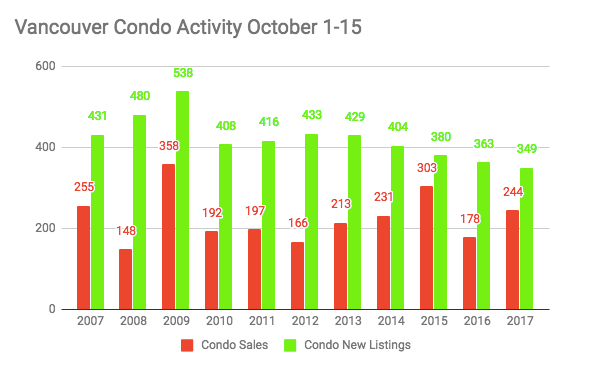 Vancouver condo Activity October 1-15. 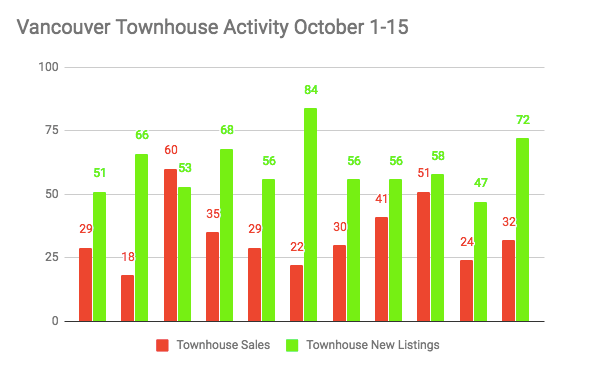 New townhouse listings saw a huge jump compared to last October (up 53%) This is largely due to a bunch of new townhouses recently completing and hitting the market. The data set is also relatively small, so take these numbers with a grain of salt. The townhouse market remains quite hot overall.